If you’re a superstar Rajinikanth fan, here’s your chance to get a photo clicked with your matinee idol. For the second time this year, the 67-year-old actor is all set to meet his fans later this month and it is expected that thousands of people are likely to grace the occasion. 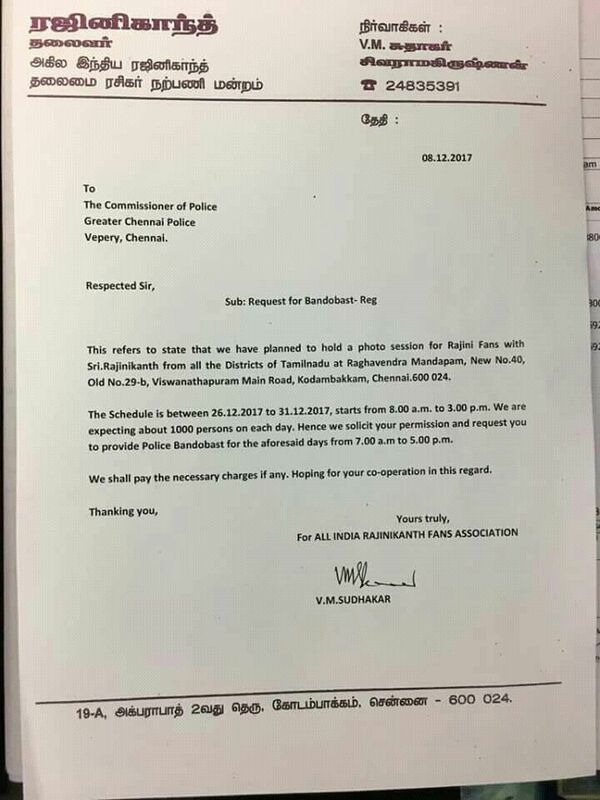 In a statement released by All India Rajinikanth Fans Association on Thursday, it has been confirmed that Rajinikanth will meet his fans from December 26-31 at his Raghavendra hall. The statement added that over 1000 people per day are expected to attend the event and therefore police protection has been sought. Letter written by All India Rajinikanth Fans association. “He couldn’t meet most of his fans earlier this year in May. This time he hopes to meet as many as possible during the six days. A photo session from 8 am to 3 pm on all days has been planned just as last time. 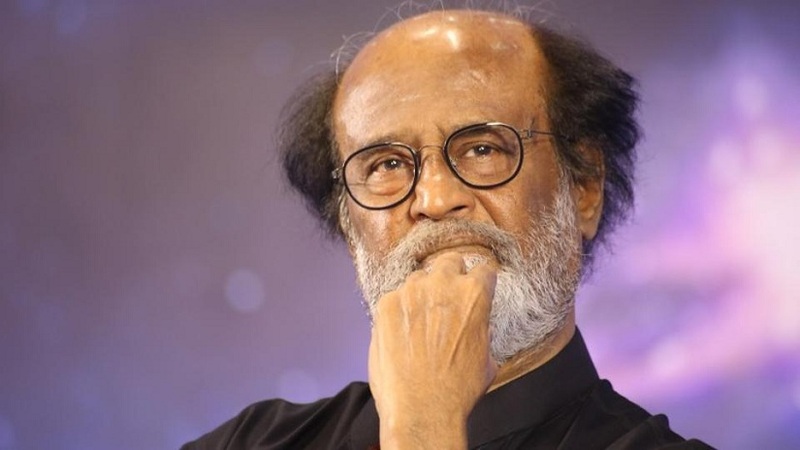 He will also address the gathering as and when possible,” a source close to Rajinikanth told Firstpost. Talking about his brief stint in politics when he supported DMK in 1996 Tamil Nadu assembly elections, he said it was a political accident. “Supporting a political alliance 21 years ago was a mistake on my part. My name was misused by a lot of politicians and some of them even earned money using my name. My support is for no party,” he added. On the career front, Rajinikanth awaits the release of 2.0 and Kaala. Both these films – which are riding on high stakes – are expected to hit the screens in 2018. Shankar-directed magnum opus 2.0, with a budget of Rs. 450 cr, is set for release on April 27, 2018. Pa. Ranjith’s Kaala, in which Rajinikanth plays a slum lord-turned-gangster, is most likely to release during summer of 2018. It is strongly believed that he will take his political plunge in 2019.